There are countless reasons to visit Myanmar. We’ll help you narrow them down to a manageable few. 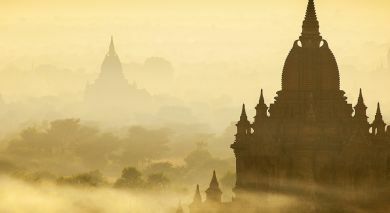 Travel to Myanmar, land of Buddhist pagodas and temples, paddy fields and serene rural landscapes. A burnished orange glow lights up the scenery and a thousand pagoda spires come into view as you ride in a hot air balloon over the ancient city of Bagan. 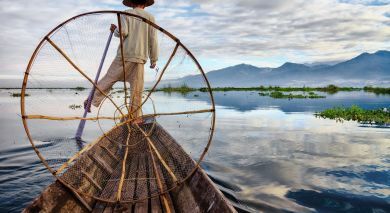 Paddling a slender long-tail wooden boat on Inle Lake, examine stilt houses and floating kitchen gardens, and men fishing using traditional means—the daily life of locals. Get a bird’s-eye view of Mandalay from atop Mandalay Hill, and then stop off at the nearby Sandamuni Pagoda with its 18,000-kilo iron Buddha. Each of Myanmar’s thousands of shrines, Buddha statues, and pagodas are different and unique. Hundreds of ancient red, white, and brown pagodas can be seen at Indein village. The shiny gold-plated and diamond-studded stupa of the capital Yangon’s famous Shwedagon Pagoda is surrounded by 64 smaller ones. Though Myanmar is a place rooted in the Buddhist religion, modernity is knocking at its door. 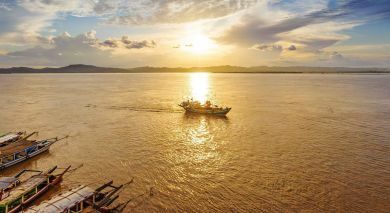 Maybe you’d like take in the romance and tranquility of this country on a luxury riverboat cruise down the Irrawaddy River, lifeline of the country. Or perhaps you want to add a few days of sunshine and clear blue sea at the pristine white-sand beach of Ngwe Saung. 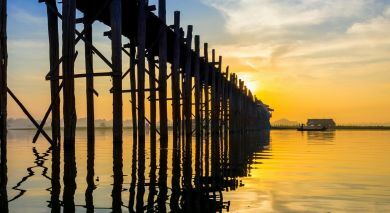 Explore Burmese cities: Yangon’s old colonial buildings and well-kept pagodas, Mandalay’s U-Bein bridge, the longest teak footbridge in the world. Let Enchanting Travels consultants offer you hosts of options and take care of all the planning details from start to finish. You’re left worry-free, to focus only on enjoying every step of your personalized Myanmar itinerary. The best time to travel to Myanmar is the months of November to March. Our destination experts share an overview on when to visit the various regions of Myanmar. Glittering temples, fairy tale landscapes and warm, welcoming people – Myanmar is brimming with delight. Follow the link to discover our top 10 Myanmar attractions. Our destination experts share information about currency, health and communication in Myanmar. Follow this link for the the best travel tips. Myanmar tours are not just about glittering gold pagodas. The people here will enchant you as well! Despite many centuries of isolation and little exposure to modern western cultures, the Burmese people welcome visitors with open arms. Indian, Chinese and colonial influences are evident in the former British capital of Yangon. 85% of the population follow Theravada Buddhism. Novitiation, when young boys are initiated into the Buddhist order, is a compulsory ritual. Artistic inclinations are encouraged in Myanmar, especially silk weaving, painting, tapestry, pottery and gemstone engraving. Gold leafing is also rather popular here. Marionette and puppet shows are an important part of Myanmar tours. Marionettes are a common part of the culture, and during festivals puppets are dressed ornately for shows at pagoda festivals and theaters in Yangon and Mandalay. Over 111 languages are spoken within the borders of Myanmar, although about two-thirds of the population speak Burmese – the official language. English is widely spoken in the urban areas of Yangon, Mandalay and Bagan. Don’t be surprised to see women walking around the streets with white paste smeared across their faces. 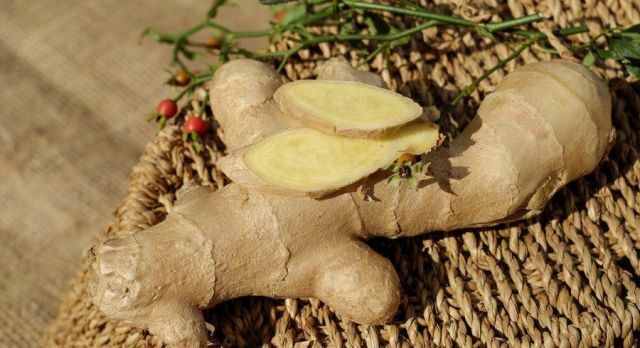 The traditional paste, called thanaka, acts as a natural sunscreen and has many other medicinal benefits. 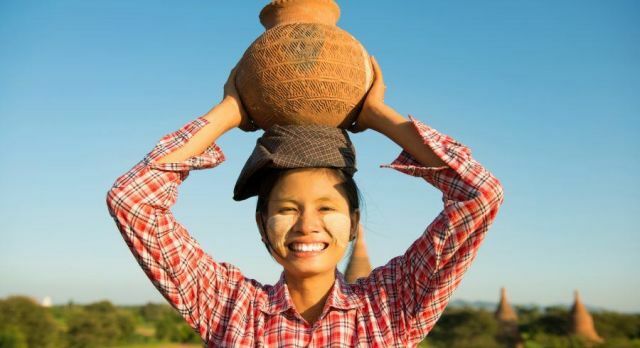 You could even try your hand at it during your Myanmar tours! Myanmar tours are as much about the food as they are about the landscape and cultural experiences. Burmese cuisine is mainly hot and spiced with onions, ginger, garlic and chillies and it is influenced heavily by its neighboring countries China, India and Thailand. Stir-fries in Chinese style, samosas, biryani and flatbread in Indian style, and fried insects – a Thai legacy, all jostle for space in the long list of Burmese delicacies! Dishes in Myanmar are typically prepared in a fish or meat broth. Rice is a staple, and forms about 75% of the diet but noodles are also popular. A typical meal involves an assortment of various dishes – boiled rice, a fish dish, curried poultry or meat, a soup, vegetables and fritters or cracker. In the lower parts of Burma, pickled fish in sauce is very popular. Myanmar tours introduce you to excellent and refreshing salads that are popularly eaten as street food all across the country. The Enchanting Travels team is happy to help you plan your private and tailor-made Myanmar tours. 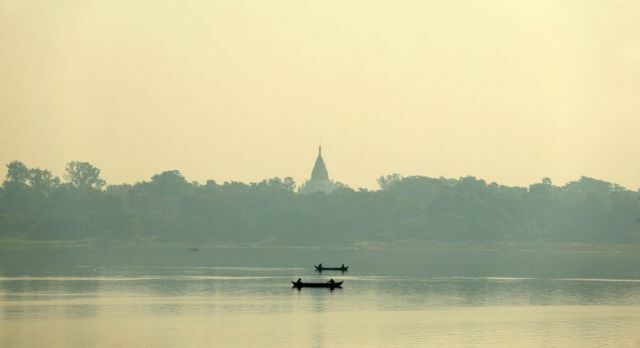 A former British colonial stronghold in southeast Asia, Myanmar (previously known as Burma), has experienced several upheavals over the centuries. Only once did Myanmar truly prosper in its history. This golden age was during the 11th century when the Pagan Empire was in power. Sadly, two centuries later Kublai Khan’s army swept through the country and plunged Myanmar into darkness. When the British East India Company came to power in the 19th century, Myanmar became a province of British India. The Second World War brought fresh misfortune as Myanmar was a key battleground in the war, liberated only just before the Japanese surrender in 1945. The regimes that followed crippled the economy, imposing martial law and changing the country’s name from Burma to Myanmar, ostensibly to rid them of the vestiges of colonial rule. Myanmar suffered greatly during this time. 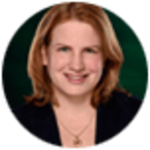 Elections were repeatedly postponed, but order was restored after an intervention from the United Nations. Today, despite some difficulties, the political condition of the country is on the upswing and Myanmar tours have opened up the country to additional economic strength. Myanmar tours are incomplete without a visit to the historical temple complex in Bagan. Pack good walking shoes as this incredible sight is spread across 104 km².